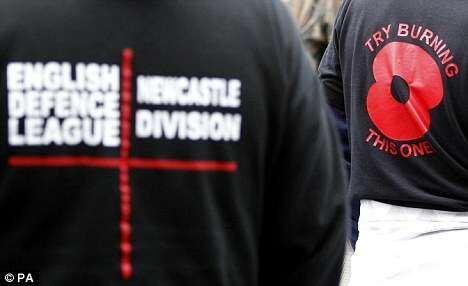 Tax payers will foot a massive £1million bill for policing an English Defence League demonstration in Lancashire on Saturday. Former Home secretary Jack Straw, MP for Blackburn, blasted the extremist EDL for outrageous ‘self-indulgence’ in holding the protest. 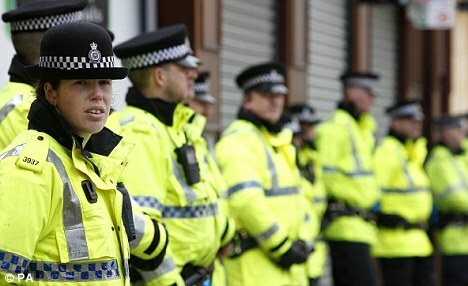 The Lancashire Constabulary has drawn up plans to cut £42million over four years and will axe about 550 officers and 250 civilian staff from its 6,000-strong workforce. It drafted in 1,900 officers on Saturday to cope with the mass demonstration in Blackburn, where a fifth of the population is Muslim. It was the force’s biggest-ever policing operation. 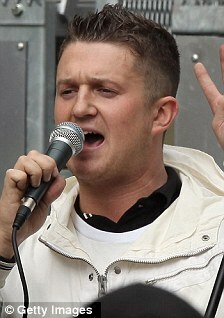 Around 2,000 EDL supporters attended, as well as an estimated 500 opposition protesters. But despite widespread fears of violence there were just 12 arrests and the police operation was hailed as a success. 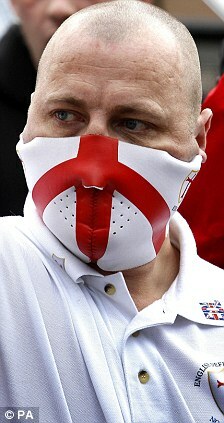 The only violence during the day was two large brawls, lasting up to 10 minutes, among the EDL protest. 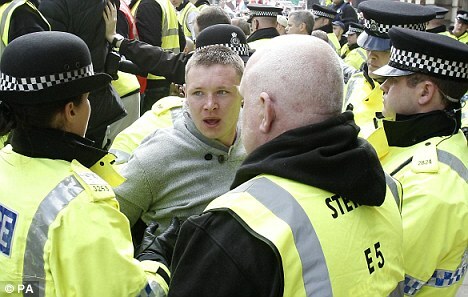 Those arrested – the majority of whom were from the EDL side – were questioned for alleged offences including assault, drunk and disorderly, affray and public order. 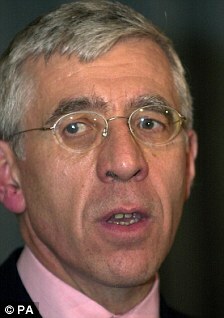 Blackburn MP Jack Straw said the security clampdown would end up costing taxpayers around £1 million. 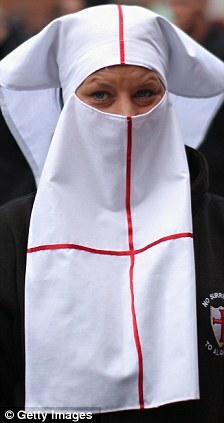 He praised the skill of the police but said many people would be angry that the self indulgence of the EDL would result in such a high cost. Malcolm Doherty, chairman of the Lancashire Police Authority, said the policing bill would be a problem for the cash-strapped force. Mr Straw described the massive police operation as completely necessary as he believed that the EDL was intent on violence, but said there was anger over the cost directed at the EDL. He said: ‘I think if you got change from a million pounds you’d be lucky’. Mr Straw said if the protest hadn’t been carried out in the town centre, police may have lost control. But town centre shops suffered from lost trade and Phil Ainsworth, of Blackburn’s Town Centre Partnership, said it had been a ‘disastrous’ retail day. The original plan was to hold the protest in a park, away from the shops, Mr Straw said. But the police only have the power to impose conditions, not ban them from where they want to protest. Police authority boss Coun Doherty said costs of the event were a problem at a time when the force was facing massive cuts.